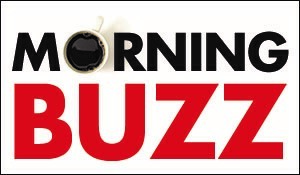 Click the Buzz Me button to receive email notifications when Carrie Stallwitz appears in an article. EUROPEAN-HONEYMOON REDUX Carrie and Dave Stallwitz visit the Frauenkirche (“Church of our Lady”) in Nuremberg, Germany, on their 20th-anniversary trip with family. WHEN IN GREECE Evynn Stallwitz, Reece and mom Carrie get ready to race at the Panathenaic Stadium in Athens, where the opening ceremony of the first modern Olympics was held. CREATING MEMORIES (From left) Dave, Carrie, Reece and Evynn Stallwitz at Philopappou Hill in Athens, with the Parthenon in the background. CASTLE INSPIRATION Evynn Stallwitz, Dave, Carrie and Reece at Neuschwanstein Castle, inspiration for Walt Disney’s Magic Kingdom. FAMILY REUNION (From left) Gabi Stallwitz, Manuel Stallwitz, Lea Stallwitz, Hanne Stallwitz, Reece, Evynn, Carrie and Dave Stallwitz gather for dinner at a traditional German restaurant in Konigsplatz, the main square of Schwabach, Germany.